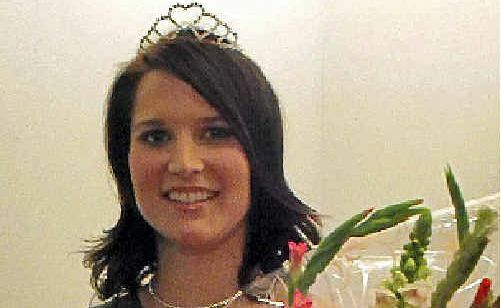 HAIRDRESSER Levana Marin was named the 2011 Miss Showgirl at a ceremony at Mira’s Cafe in Bargara on Friday night. A small field of three competed for this year’s title, with 20-year-old Ms Marin named the winner. The other two contestants were Jacinta DiPalmer and Bree Strata. Show Society president Ken Schmidt told the guests it was good to see the return of the Miss Showgirl contest. He said this was the second year in a row it was being held after a long absence from the schedule. For her victory, Ms Marin took away more than $1000 worth of prizes, including luggage, a handbag, a watch and other prizes. Last year’s Miss Showgirl, Nadia Schmidt, said the competition opened up the show to Bundaberg’s young community. “I recognised the importance of the show in bringing Bundaberg together as a community,” she said. Ms Marin will ride in the Grand Parade on Thursday.